From left: Ken Tetsuzan Morgareidge, Karin Ryuku Kempe and Peggy Metta Sheehan. Ken Tetsuzan Morgareidge joined the Zen Center of Denver and became a student of Philip Kapleau Roshi in 1984. He received lay ordination in 1986, and continued to study with Kapleau Roshi until he became a student of Danan Henry Roshi in 1988. He completed formal koan training in 2001 and was an assistant teacher until receiving dharma transmission in 2010. Ken earned a Ph.D in Physiology at UCLA and is now retired after 30 years teaching human biology courses at the Boulder College of Massage Therapy, Naropa University and the Rolf Institute. He is also the author of Dogs, Trees, Beards and Other Wonders: Meditations on the Forty-eight Cases of the Wumenguan. Karin Ryuku Kempe has been practicing Zen since 1971, beginning at the Rochester Zen Center with Philip Kapleau Roshi and then with Toni Packer. Ryuku worked as a family physician for 20 years while raising her family. She practiced with Shishin Wick Roshi, dharma heir of Taizan Maezumi Roshi, at the Great Mountain Zen Center, receiving jukai from him in 1997. 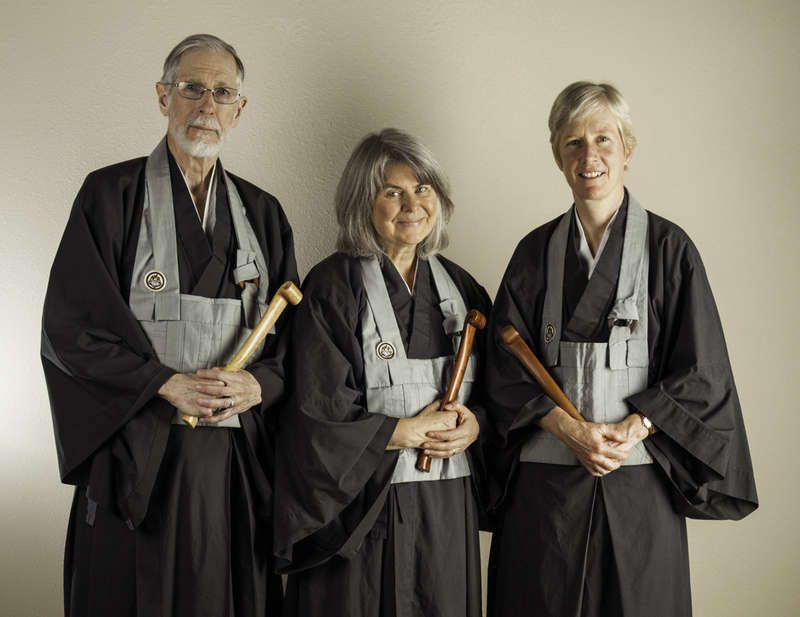 Karin completed her koan training in 2005 with Danan Henry Roshi at the Zen Center of Denver, and served as an assistant teacher until receiving dharma transmission in 2010. Karin retired from 25 years of practicing family medicine in 2012 but continues to teach mindfulness-based stress reduction. Peggy Metta Sheehan practiced and studied with Danan Henry Roshi at the Zen Center of Denver beginning in 1991. She received lay ordination from him in 1999 and served as Head of Zendo from 2001 to 2005. She completed her koan study in 2005 and was an assistant teacher at the Zen Center from 2005-2010, receiving dharma transmission in September, 2010. Metta is a practicing pediatrician who is interested in mind-body medicine and teaches mindfulness-based stress reduction as part of her medical practice.